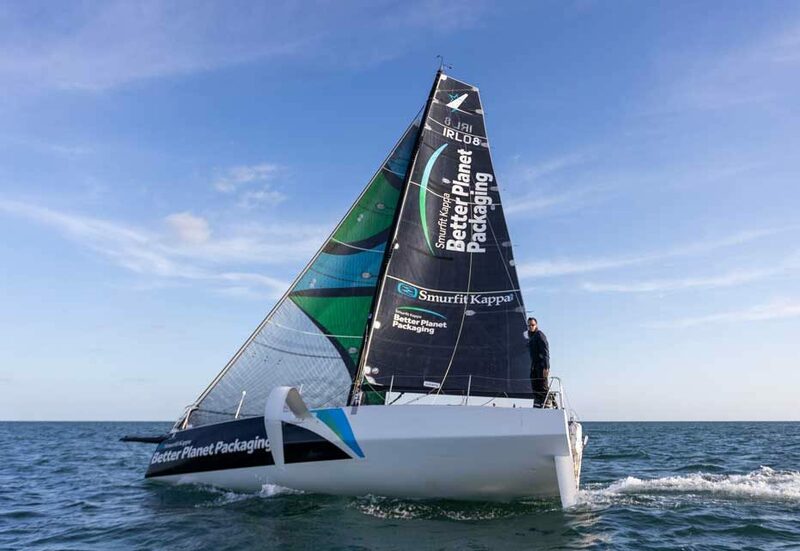 Smurfit Kappa has joined forces with prize-winning offshore racing sailor, Tom Dolan, to raise awareness of its Better Planet Packaging initiative. Like Smurfit Kappa, Tom Dolan and his crew are committed to circularity and operate a closed loop system on board to reuse, recover and recycle as much as possible. Some of the commitments they have made include banning the use of single-use plastics on their Figaro 3 boat and reducing their carbon footprint. Collaborating with new partners like Tom Dolan, that share the company’s goal of reducing waste and having a positive impact on the environment, is one of the central elements of the Smurfit Kappa Better Planet Packaging initiative. Steven Stoffer, Vice President of Development at Smurfit Kappa, added: “Tom Dolan is as committed to sustainability as he is to his racing career and this is one of the things that made him stand out to us. Tom Dolan’s next racing event is the Sardinha Cup which is part of the 2019 French Championship for Offshore Sailing starting on 30th March. More details of Tom Dolan’s racing campaign are available on his website.